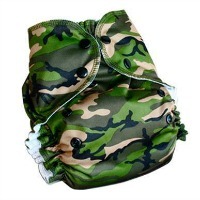 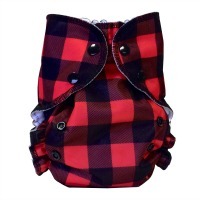 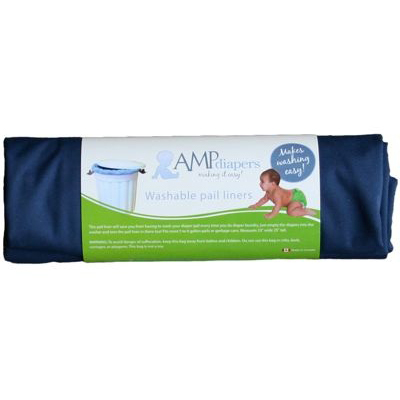 The AMP One Size Duo Pocket Diaper is a revolutionary new diaper that combines both the benefits of the AI2 diaper and the pocket diaper all in a one size. 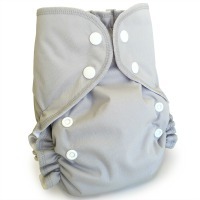 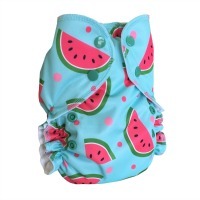 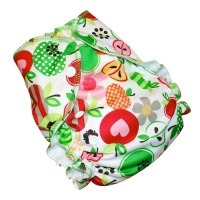 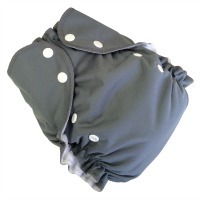 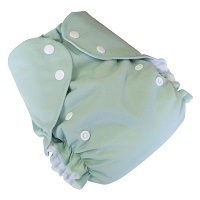 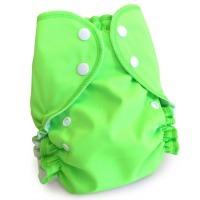 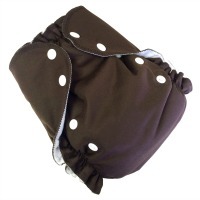 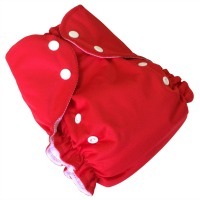 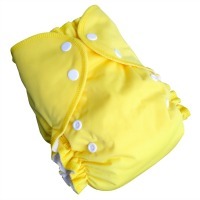 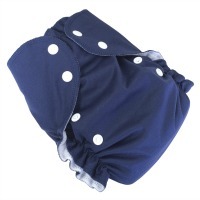 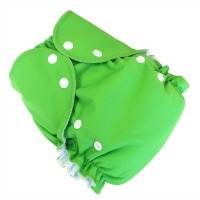 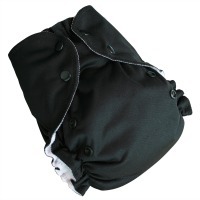 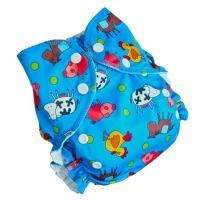 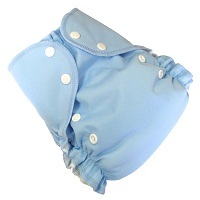 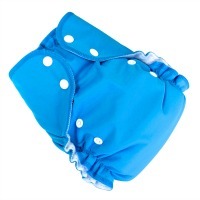 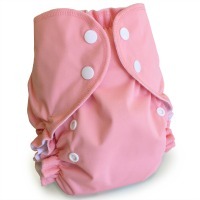 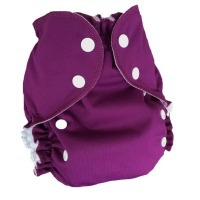 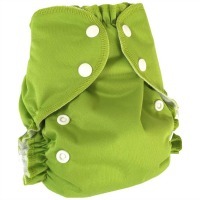 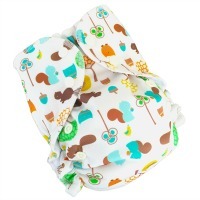 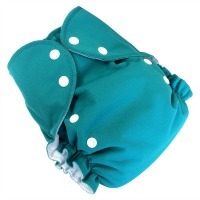 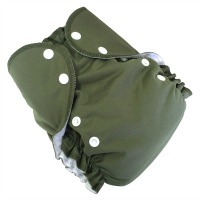 The intelligent snap placement allows this diaper to have three different rise options and multiple tummy and thigh settings for a custom fit from birth to potty training (7-38lbs).The outer waterproof layer is a soft durable laminated PUL and the inside is a dreamy soft layer of micro fleece that is designed to wick wetness away and keep baby dry and comfortable. 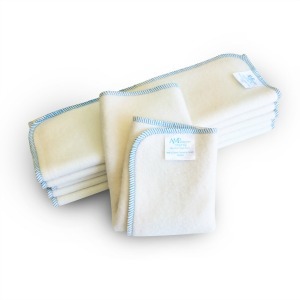 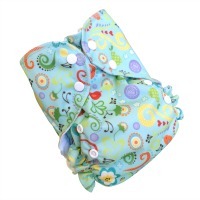 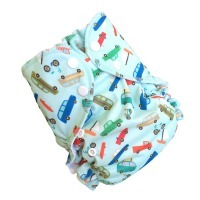 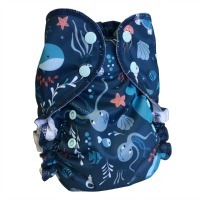 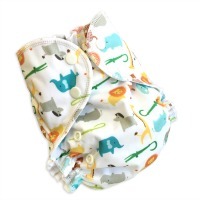 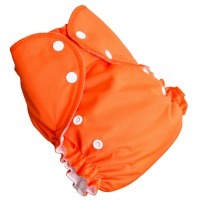 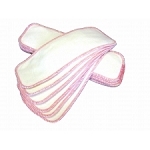 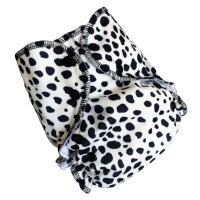 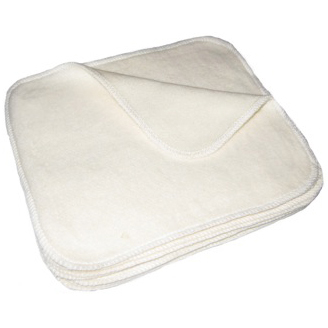 The envelope opening is large enough for easy stuffing and is placed at the front of the diaper to make removing the insert easy and mess free.To use snap the rise adjusting snaps to the appropriate setting and place insert inside the diaper. 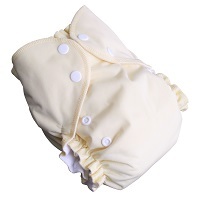 Place the diaper under baby and fasten the tummy and thigh snaps at a snug but comfortable position.